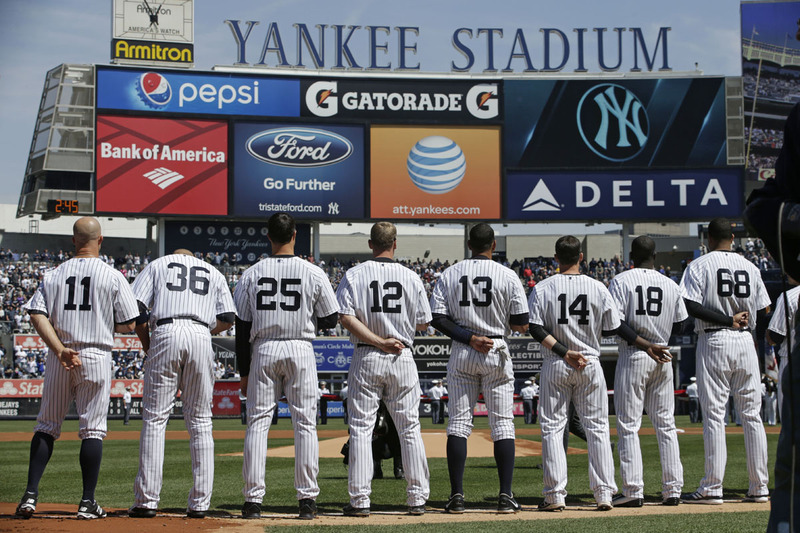 2015 Season: For a team with as many questions surrounding them in the first year of the “post-Jeter” era, the New York Yankees overachieved by most standards, winning 87 games and hosting the Wild Card game in the Bronx before being shut out by Dallas Keuchel and the Houston Astros. A team that lost pitchers Masahiro Tanaka, Michael Pineda, and Nathan Eovaldi, along with first baseman Mark Teixeira for parts of the season, the Yankees showed resilience and tenacity making the postseason for the first time since 2012. 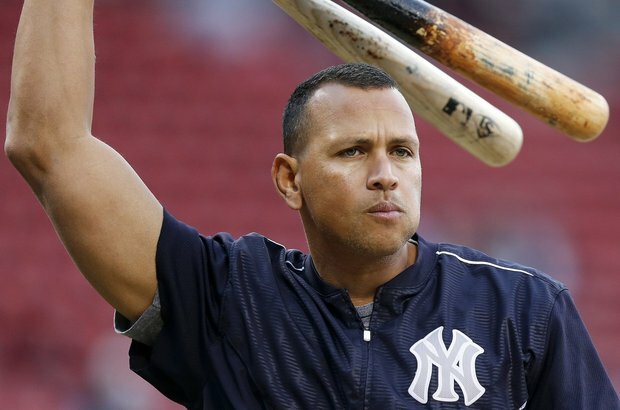 The story of the 2015 season however, was the one and only Alex Rodriguez who returned to the Yankees after sitting out the entire 2014 season for his Biogenesis suspension. No one really knew what to expect from a 40-year-old slugger who had not played in essentially a year and a half. What occurred was nothing short of miraculous as A-Rod smashed 33 home runs and knocked in 88 runs. He, like a few others on this roster, wore out by the end of the year, but for the first 6 months of 2016, there were few better hitters on the team then Alexander Emmanuel Rodriguez. Key Additions: The Yankees declined to sign any free agents this offseason to a Major League contract, the only team in the league to do so. As Yankees GM Brian Cashman waits for aging contracts to come off the books (Teixeira and Beltran after 2016, A-Rod and Sabathia after 2017), he decided to add to the team via the trade instead. 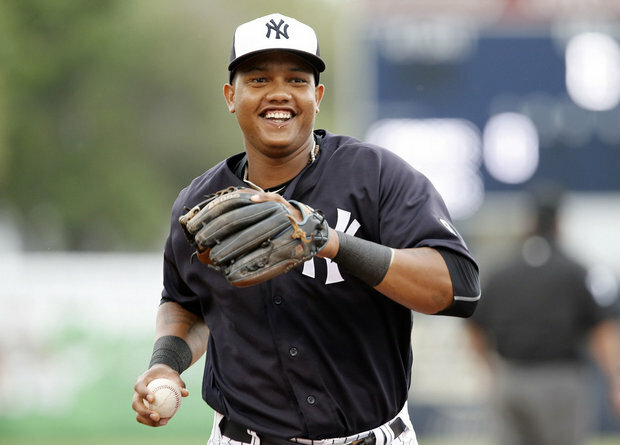 The two biggest additions to the 2016 Yankees are second baseman Starlin Castro and closer Aroldis Chapman. Castro, formerly of the Chicago Cubs, is only 26-years-old and has already made 3 All-Star teams during his time on the North Side. However, due to a combination of declining production and a cast of blue chip prospects behind him, Castro fell out of favor in Chicago and was deemed expendable. A shortstop by trade, Castro will move over to the keystone to man second base with incumbent Didi Gregorious locked in to the shortstop position. 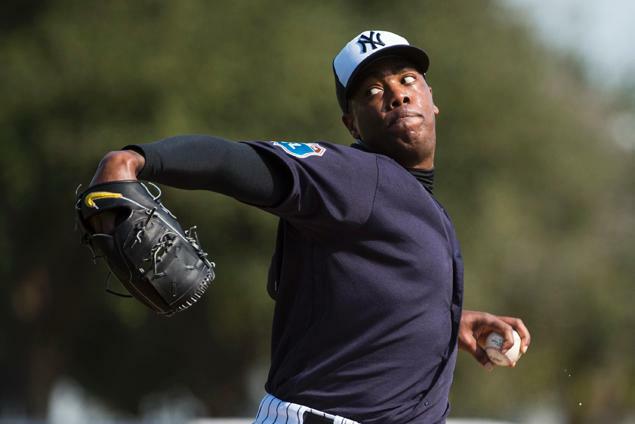 Meanwhile Chapman, one of the best closers in the game, was initially set to be shipped off from the Cincinnati Reds to the L.A. Dodgers before the trade was axed in light of an impending suspension for Domestic Violence. The fear of suspension was not enough to scare away the Yankees though as they were able to pay a reduced price to acquire the left-hander, giving up 4 prospects in the deal. With a fastball averaging nearly 100 MPH, he will take over the 9th inning to form a terrifying trio with Dellin Betances and Andrew Miller upon his return from a 30-game suspension. Outside of Castro and Chapman, the Yankees also added outfielder Aaron Hick as their 4th outfielder. The former first round pick is a gifted athlete but had struggled in his time over in Minnesota. He will look to rebound in the Bronx as he plays behind 3 outfielders who tend to see time on the DL on a yearly basis. Key Losses: The two biggest losses from this team a year ago are starter/reliever Adam Warren and left-handed reliever Justin Wilson. Warren, one of the more reliable arms on the Yankees staff over the past few seasons, was traded away for Starlin Castro. Never really finding a firm spot in either the rotation or bullpen, Warren was asked to do everything for the Bombers and did so very efficiently in his time in pinstripes. Meanwhile Justin Wilson who was the Yankees 7th inning guy last season was traded for two young pitching prospects to the Tigers. Striking out over a batter an inning, Wilson was dominant for most of the year and it was surprising to see the Yankees move on from the talented lefty, that is until Chapman came to town. In addition to Wilson and Warren, the Yanks traded away backup catcher John Ryan Murphy to Minnesota for Hicks, while they waived goodbye to infielders Stephen Drew and Brendan Ryan (who was also traded away for Castro), and outfielder Chris Young who signed with arch-rival Boston. This offense has lots of potential to score runs as the majority of the lineup returns from last season when they were second in the majors in runs scored. The Yankees will be looking for big bounce back years from the top two duo of Jacoby Ellsbury and Brett Gardner as both disappeared in the second half of the season, neither hitting above .220 after the All-Star break. For a slow aging lineup like this one, having those two get on base and be active around the base paths is going to be pivotal for a team that may take a step back on the power front in 2016 as everyone gets another year older. Speaking of power, A-Rod can’t possibly have another season like last year right? The Yankees will be hoping that he continues to defy Father Time and all logic and repeat his incredible 2015 numbers, but in reality this is highly unlikely. 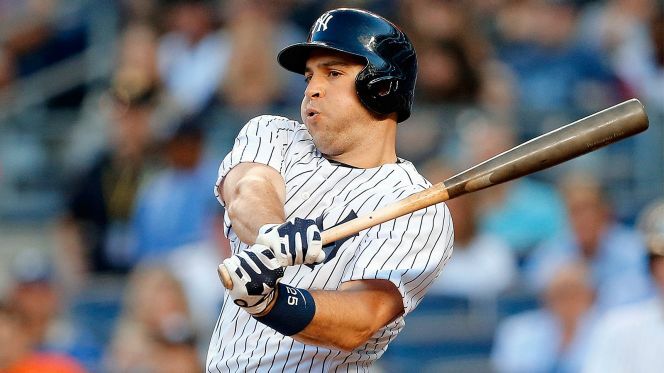 Expecting regression from the likes of A-Rod and 38-year-old Carlos Beltran, more will be placed on the shoulders of the oft-injured Mark Teixeira. Teixeira, who before fouling a ball off his leg, knocking him out for the last month of the season with a deep bone bruise, was having a near MVP-esque season hitting 31 home runs and 79 RBIs in only 11 games. With rookie Greg Bird out for the season with a tear in his right shoulder, keeping Teixeira on the field will be even more pivotal this year with no safety net behind him if he should go down. He has not played more the 125 games in a season since 2011. Brian McCann should continue to be a rock behind the plate both defensively and offensively as the catcher has hit at least 20 home runs in all but one season (’07) since his rookie year back in 2005. 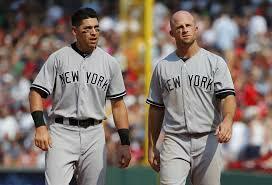 Like Ellsbury and Gardner before him, third baseman Chase Headley will be looking for a bounce-back year as well. After signing a 4 year,$52 million contract before the 2015 season, he underwhelmed in his first full year in pinstripes. An average bat, it was Headley’s defense that was truly putrid in 2015, his worst year defensively in his career. That defense better improve if he is to ever live up to that contract. Finally the two middle infielders round out the lineup. Gregorious struggled mightily at the plate to start off the 2015 season, but from June 1st on, Gregoious hit a very respectable .278. If he can continue that offense into 2016, in addition to his excellent glove, he could be a Top-6 shortstop in the American League. Castro on the other hand has shown real offensive flashes in his career, but no consistency. As he learns a new position, the Yankees will hope that his bat carries over from his brief time playing second base for the Cubs a year ago where he hit .313 in 31 games at the Keystone. A natural opposite field hitter, the short right field porch at Yankee Stadium could be exactly what he needs to become a more consistent offensive threat. This rotation has a ton of upside…and a very low floor. Since bursting on to the scene in his first 2 months in the Majors, Masahiro Tanaka has pitched more like a #2 or #3 starter, not like the ace he initially showed to the league. Part of this is due to the health of his right elbow which remains a ticking time bomb due to a ligament tear. He missed part of the season in each of the last two years with this persistent injury. The Yankees may not have an ‘ace’, but a healthy and effective Tanaka would go a long way to solidifying this rotation. Speaking of staying healthy, Michel Pineda and Nathan Eovaldi also missed time in 2015 with injuries. 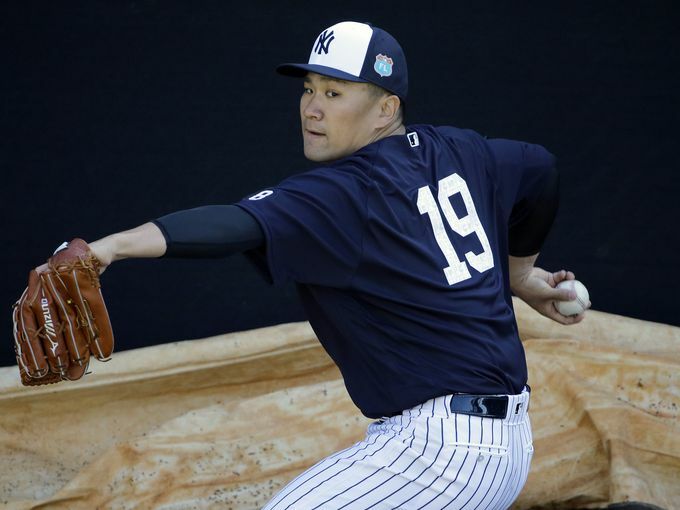 Like Tanaka, each will be hoping to stay on the field this year as they have shown flashes of brilliance but have been unable to provide that type of consistency on the mound. Pineda had a terrible second half of the year last year, but looked like a top of the rotation arm for the first half, while Eovaldi was simply dominant over his last 10 starts before winding up with ‘dead arm’ and sitting out the final 3 weeks. 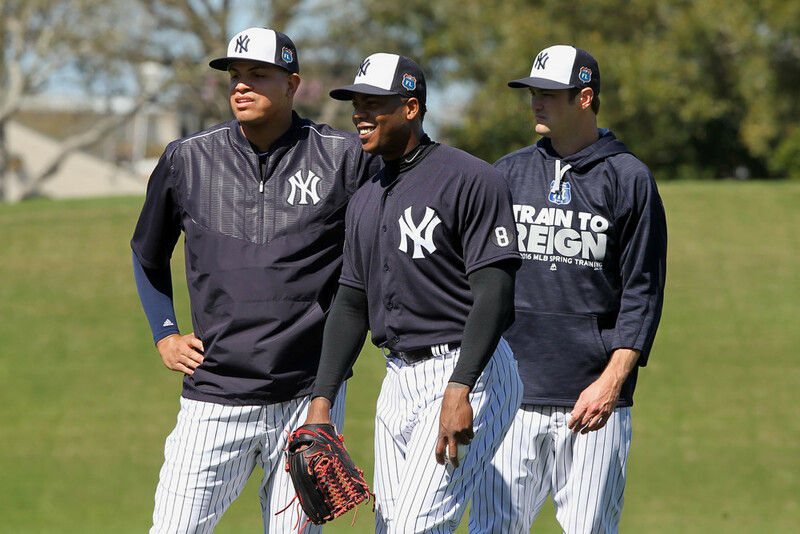 Strong bounce-back seasons from them could make the Yankees rotation truly formidable. Rookie Luis Severino was brilliant in his stint with the Bombers last year, tossing a sub 3.00 ERA after being called up mid-season due to injuries. He will look to continue his progression in his sophomore season. Finally CC Sabathia will get the nod, at least initially, as the Yankees 5th starter, narrowly beating out Ivan Nova for the spot. Picked more for his name and his salary then his performance, Sabathia has been dreadful over the past 3 seasons, but did show some life at the end of the 2015 season throwing a sub 3.50 ERA over his last 8 starts before checking himself into an alcohol rehab facility days before the playoffs. Still making $23 million this year, he will get every chance to keep his rotation spot, but expect Nova waiting in the wings if he struggles early. Nova is a good long relief arm and is the next-man-up if there is an injury to the starting rotation. Former Met prospect Luis Cessa and rookie Johnny Barbato will take early spots in the bullpen due to injuries to Bryan Mitchell and others while Chasen Shreve will hope that the Chasen Shreve of the first 3/4 of the 2015 shows up for 2016 instead of the disaster he was for the final 2 months of the year. Alright enough about them, let’s get to the fun part. The trio of Dellin Betances, Andrew Miller, and Aroldis Chapman (not listed above due to his 30 game suspension) could go down as one of the greatest bullpens in Major League history. These three were tops in the Majors in strikeouts per nine innings among all relievers and could only get better. Miller, last year’s AL Reliever of the Year, has graciously accepted a move back to the 8th inning upon Chapman’s return from suspension, and the combination of Miller and Chapman, two lefties, should come in huge against the lefty heavy lineups of Boston and Baltimore, while the strikeout potential of all three will be necessary to close down games against Toronto. If the pitching staff can simply get them the ball with a lead, then this team is going to be incredibly hard to beat in the later innings of games. For a team as old as the Yankees are, with the amount of question marks surrounding the health of the pitching staff, staying healthy is by far the biggest X factor for the Bombers in 2016. I can easily imagine a world where A-Rod, Teixeira, Beltran, Ellsbury, and the pitching staff each play 140+ games and the Yankees fight for the top of the AL East. I can also easily imagine those 4 missing large portions of the year while the pitching staff breaks down and they end up in the basement of the division. If the Yankees want to return to the playoffs in what is an incredibly deep division from top to bottom, they need to stay healthy. Call me a homer, call me an optimist, call me whatever you want, but I think the Yankees avoid the injury bug for the most part and are a real contender in 2016. The rotation will hold up as Pineda, Severino, and Eovaldi take the next steps in their progression as the rotation ends up in top half of the league while the bullpen locks down every 1-2 run game. The Yankees will have no idea what to do with CC who will again struggle and become the most expensive long relief pitcher in the game, but the offense should continue to mash as they did last year, even if they are not second best in the majors. At the end of the day, Yankees manager Joe Girardi has done a very good job during his tenure of managing this team through injuries and slumps and consistently is in the playoff chase entering the final two weeks of the year. I don’t see that changing this year as the Yankees surprise many of the haters out there and win 87 games, good enough for a Wild Card berth.